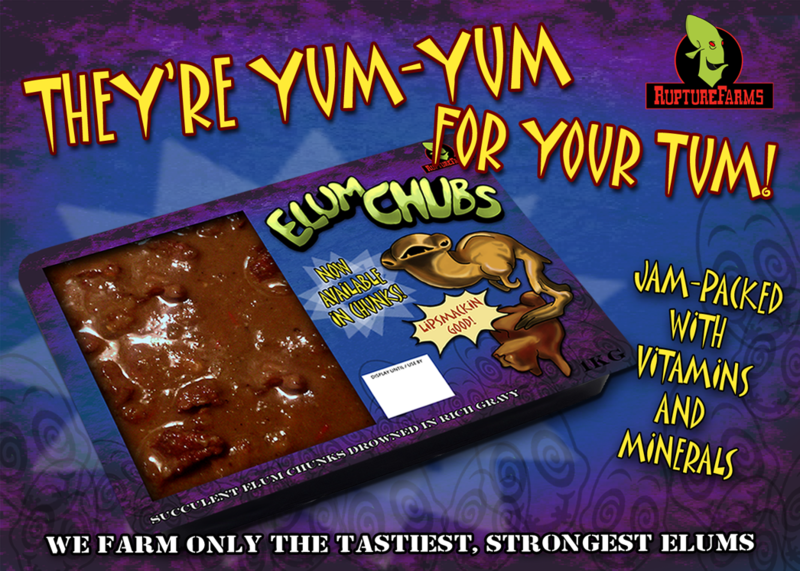 On a roll with packaging designs! 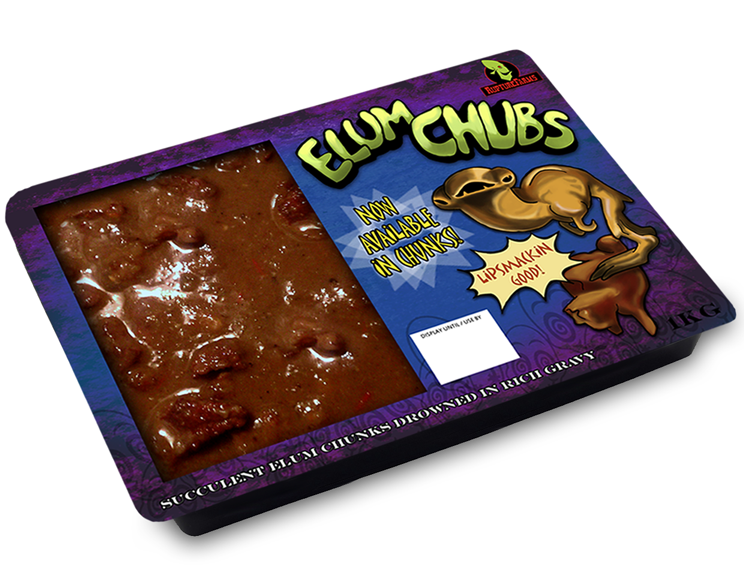 Next is Elum Chubs - though this time they're in chunks. The meat in the above photo is just a photo nabbed off Google Images. Considering this is my first time making '3D products' on a computer I'm pretty surprised at how it all turned out. And the packaging itself - I will print these guys out (including Mudokon Pops) the minute I get the use of a colour printer and apply them to suitable packages. 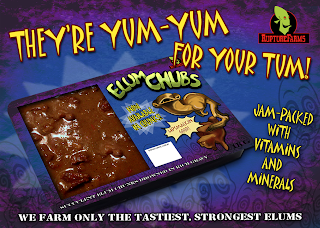 I'll aim to complete the rest of the Rupture Farms products!